Call Today & Demand Philly DA to #ReleaseTheFiles & #FreeMumia! The U.S.-supported reactionary state of Colombia has been hunting down Afro-Colombian and Indigenous activists who have been struggling for their human rights on ancestral territories. After the Transatlantic Slave Trade began forcibly transporting Africans to Colombia in the 1520s, some Africans were able to break away and settle in rural environments, where they have lived for centuries as self-sustaining people. Sara Quiñonez and Tulia Marys Valencia—daughter and mother, respectively—were arrested on April 20 on phony charges of narcotics trafficking and terrorism. The Colombian government has already received so many messages of support for these sisters, the state apparently has disabled the email account. The best way you can support Sara and Tulia is by posting messages on social media. Tap this link for language you can use. Aba had been invited to the U.S. by the Conference of Catholic Bishops and several other religious organizations for a speaking tour on the situation in the Philippines and Mindanao. 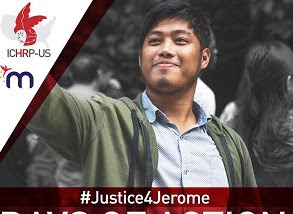 According to Jerome’s recounting to Karapatan, a Human Rights Alliance in the Philippines, Aba was held for 28 hours at SFO and endured physical and psychological torture and harassment during his detainment. The entire time, U.S. Customs and Border Protection (CBP) held Aba incommunicado — they violated his basic civil and political rights, and withholding his access to a lawyer. Click HERE to view Jerome’s press conference with human rights organizations at the BAYAN National Office in Manila. Click HERE for a description of Jerome Aba’s treatment at SFO. 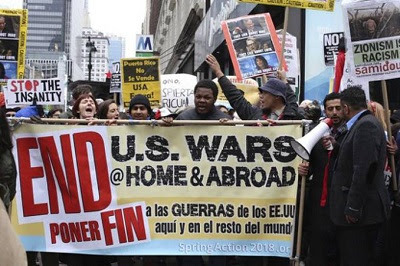 BAYAN USA is a coalition of Filipino organizations in the U.S. and a member of UNAC. In what may be the largest educator walkout in history, these educators will join tens of thousands of teachers and educational support professionals (ESPs) across all of Arizona in walking out of their neglected classrooms. Led and supported by the Arizona Education Association (AEA) and Arizona Educators United (AEU) through its #RedforEd movement, Arizona educators are bringing their demands for adequate educational funding directly to state lawmakers in Phoenix, where they will be joined by NEA President Lily Eskelsen García.